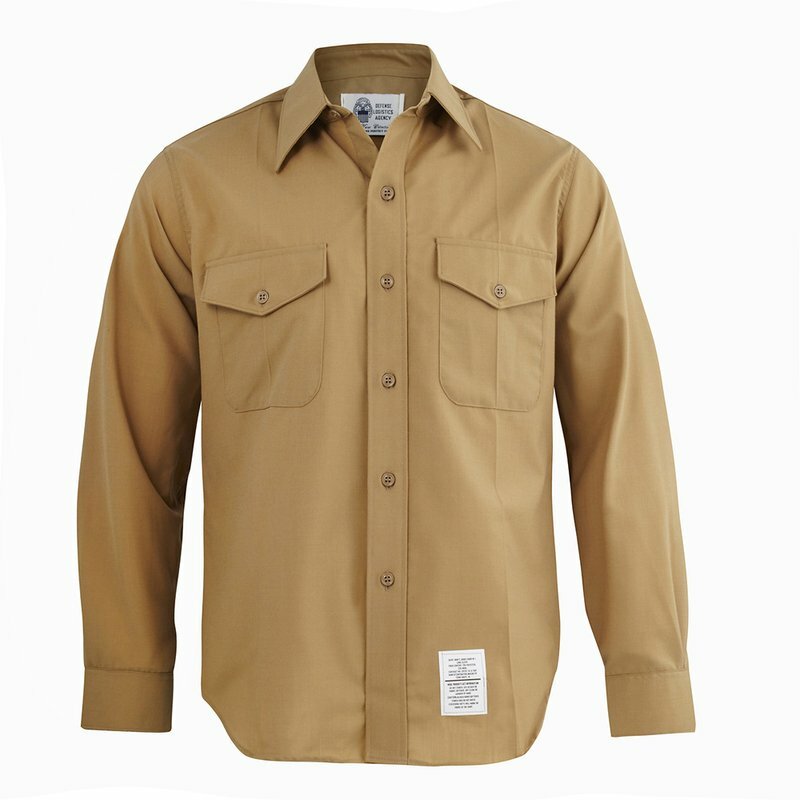 The fit of the poly/wool long sleeve shirt is determined by the neck size and sleeve length. Each shirt shall be fitted over an undershirt with collar buttoned and long sleeves buttoned. Ample room should be around the chest and shoulders to permit free use of arms without binding.